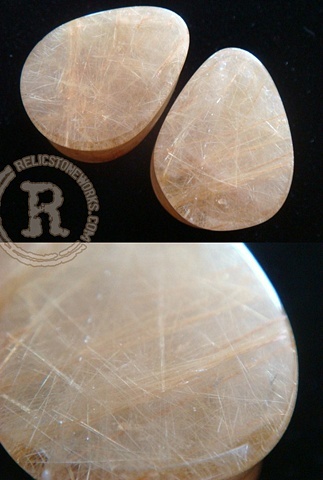 Clear Quartz Packed with bright golden Rutile jutting in every which way. You can get lost looking at these. Soft smooth flares for only the most comfortable wear.